The S-Trader lets your creativity completely off the leash. 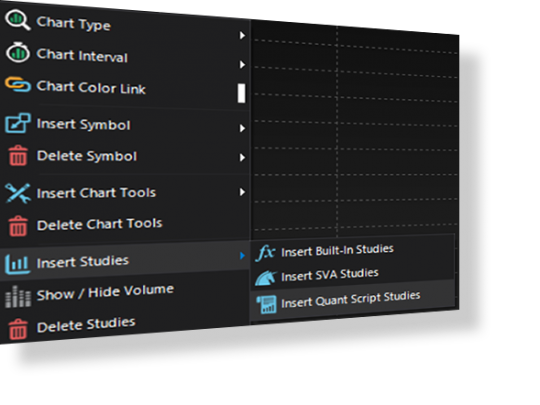 You can build any custom study you want using our built-in function library via the study editor or the study wizard. 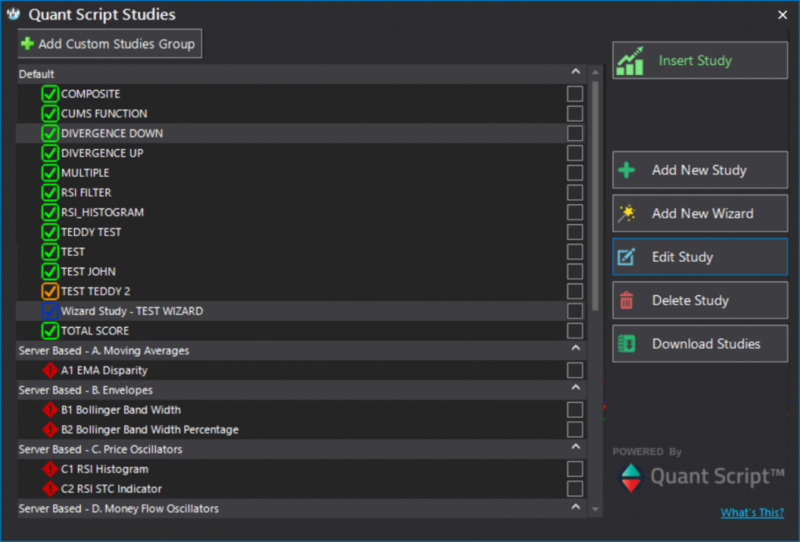 You can plot custom studies on charts or use them inside expert advisers, portfolio systems, scripted alerts or loop trading systems. Whatever trade ideas you got, you can now explore them all. 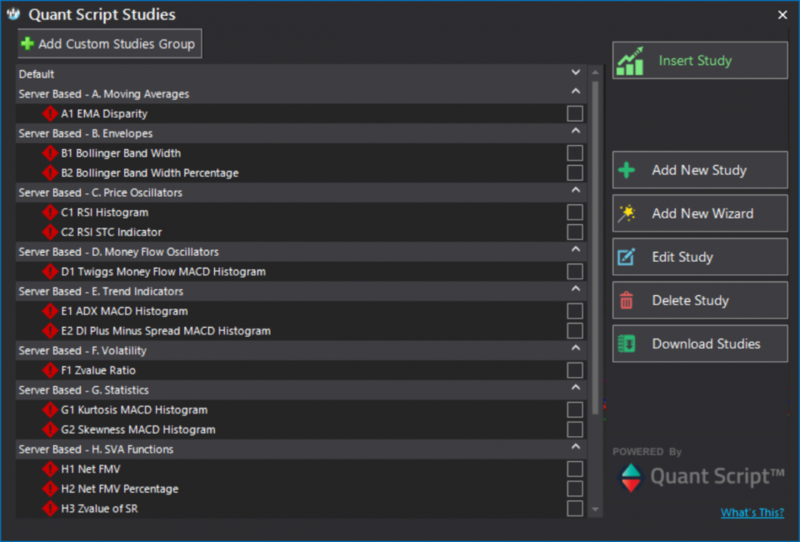 Create your own custom studies using the exceptionally versatile and easy-to-use Quant ScriptTM programming language. The language’s learning curve is minimal so users can write code very much “out of the box”. 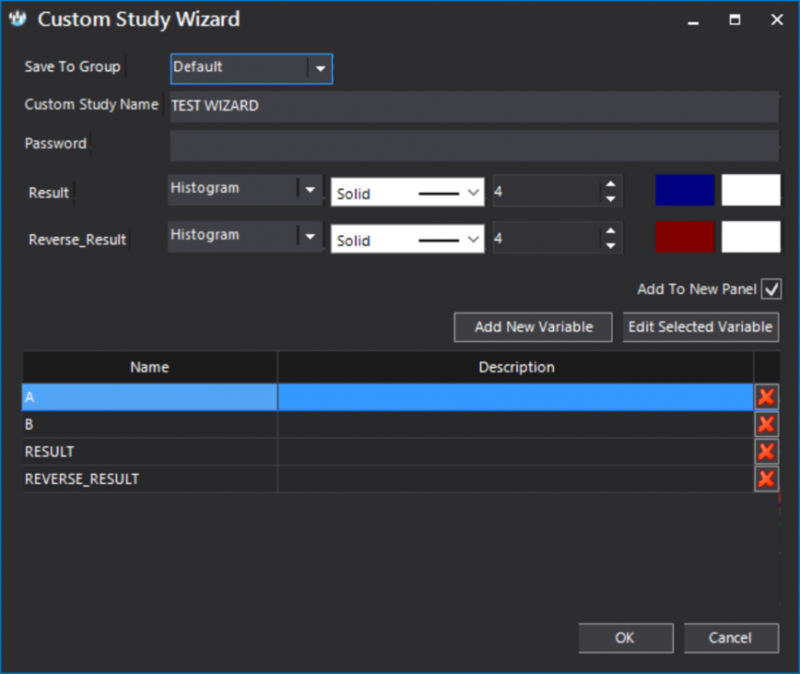 Alternatively, create your own custom studies using the drag-and-drop functionality of the Code Wizard. The Code Wizard is based off the same Quant ScriptTM programming language. Thus, scripts built with either the Code Editor or the Code Wizard will achieve the exact same thing and will behave the exact same way. Using one tool or the other is strictly a matter of personal preference. 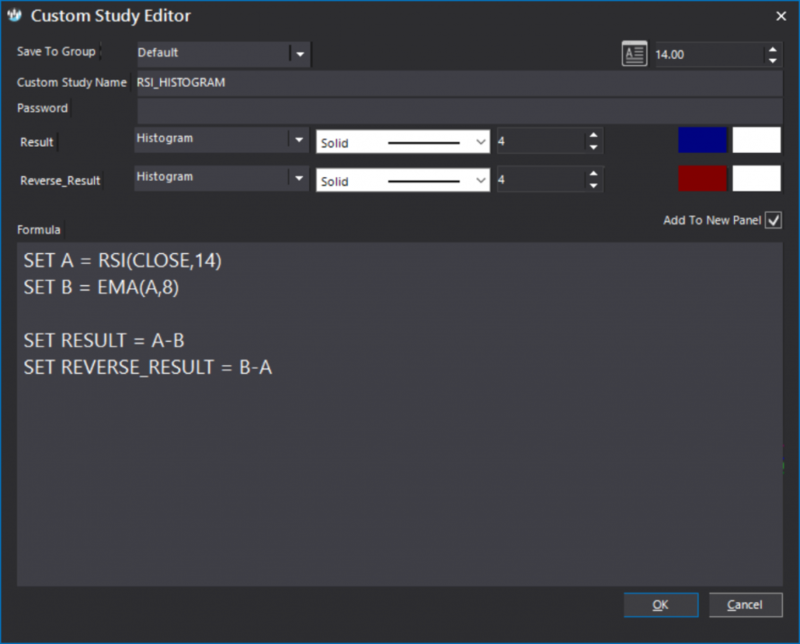 each study can be exported using a proprietary encryption key with further password protection at the package level. Depending on your subscription level, we offer many custom studies at the server level. All these studies can be downloaded and used inside the S-Trader Desktop platform.